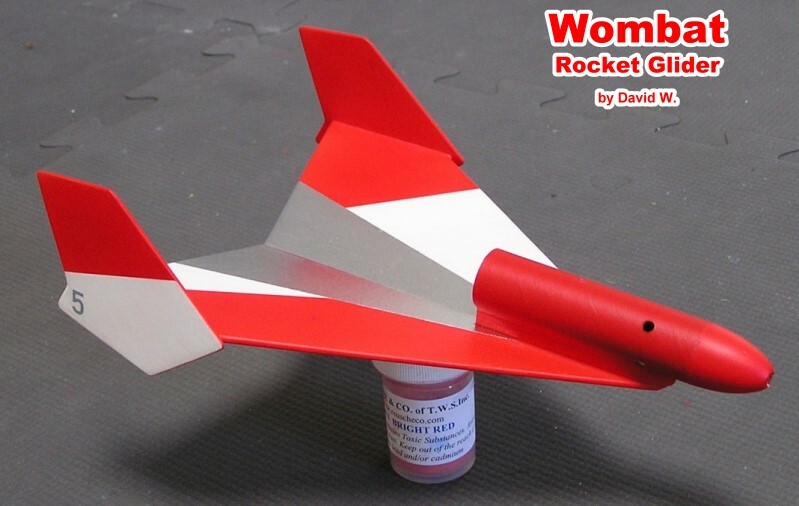 Website visitor David Wagner, of Santa Fe, New Mexico, was kind enough to send me photos of his two very fine rocket-powered gliders - the Sylph and the Wombat. He is also in the process building a Cheechako rocket glider based on an article from the February 1972 edition of American Aircraft Modeler. Hopefully, David will also send a photo of his Cheechako when it is ready. 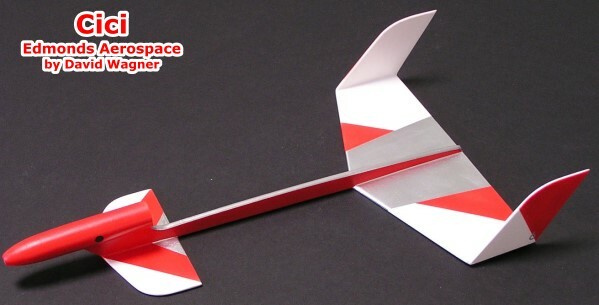 "I just discovered your site and decided to build the Cheechako rocket glider you've featured. I'm also a model airplane guy who occasionally builds rockets. I'm only interested in rocket gliders. I often build modified versions of the old 60's rocket gliders, such as the Estes Falcon you mentioned. I've attached a couple photos. Both of these fly very well. I always hollow out the nose cones to place nose weight as far forward as possible. Also, drill a small exhaust hole in the nose and on each side of the engine housing to handle the Estes ejection charges, which can be extreme and sometimes destructive. I included a photo of the Wombat delta wing rocket glider because of it's similarity to the Cheechako. It was built from a very old plan.I added dihedral, which I will plan to do with the Cheechako. Have you tried it with no dihedral? " Here are plans for the Sylph rocket-boost glider. Unfortunately, I was not able to locate plans for the Wombat rocket glider. 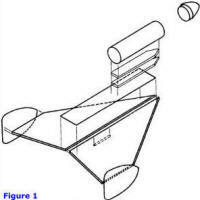 The National Association of Rocketry (NAR) has webpages for Boost Glider Plans and Rocket Glider Plans. The difference is that Boost Gliders may consist of any number of stages so long as the last stage is the glider, and a Rocket Glider consists of only a single stage.